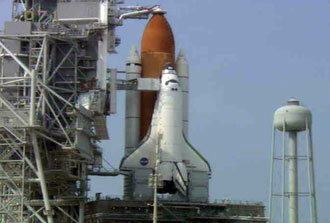 The space shuttle Endeavour will launch in about 45 minutes. Click here to get a page with options for viewing the launch online. Space Shuttle Endeavour with the crew on board await lift off.